We are back in the UK and I am still thinking of the wildlife we saw in Rwanda. I thought it would be interesting to post about species we have seen but we have no pictures of. 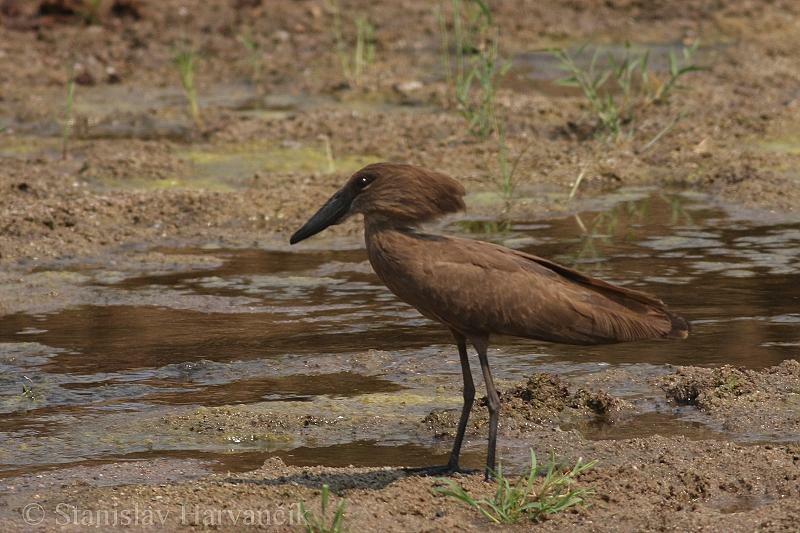 Here we have a hamerkop. We saw one in a rice paddy on our way to KCCEM. It seems less interesting than the crazy-looking great blue turaco, but even though its dullness there’s something I like about this bird. 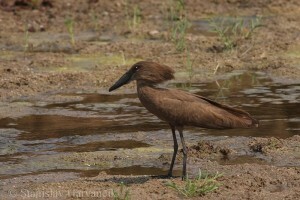 Hamerkops feed on amphibians and small fish amongst other things; that’s why the rice paddy. One of the interesting facts about hamerkops is the size of their nests. Nests can be more than 1.5m across! Mmmmmmh, big enough for hosting a tea party?